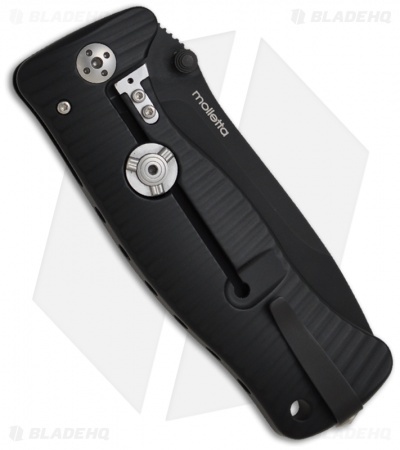 From Maniago Italy, LionSteel presents the SR-1 Aluminum manual folding knife. We were quite impressed with the fit and finish of the titanium version and the aluminum version is not different! 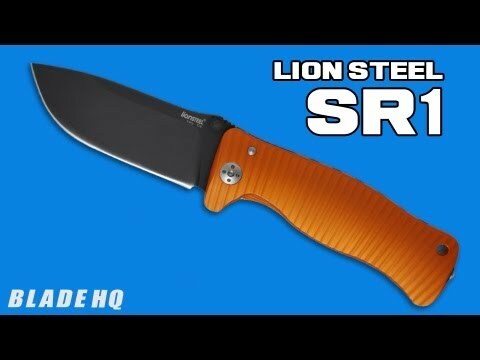 We were a bit hesitant of an aluminum frame lock, but after a year of testing, the LionSteel SR1 AL has proven itself. The SR1 series is sure to be a personal favorite. The solid frame lock uses a unique mechanism called the RotoBlock system, which allows you to turn a pivoting button or 'lockbar stabilizer', basically converting the knife to a fixed blade. The Monoblock Frame is made from a single piece of aluminum! 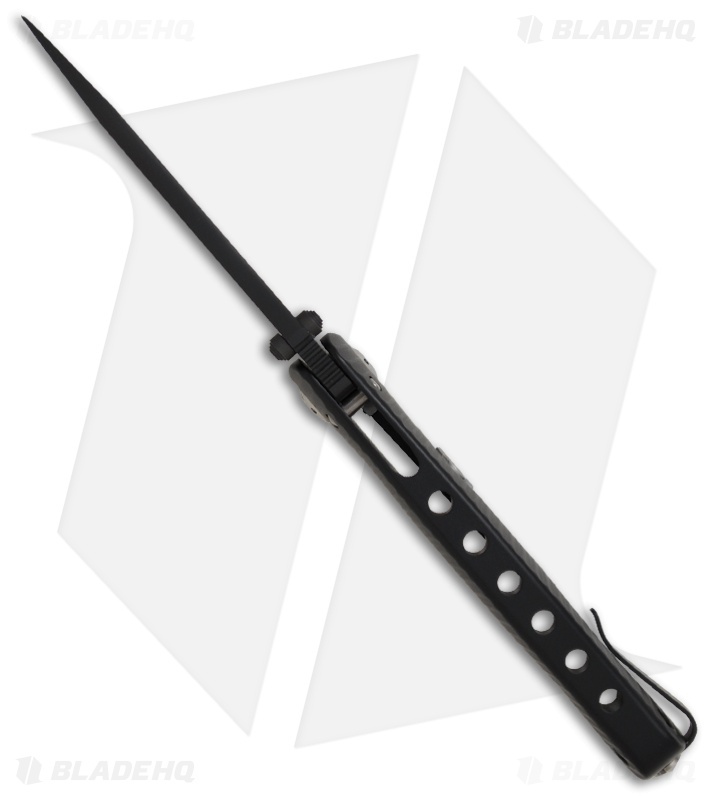 The wide profile drop point blade is D2 steel with a thumb stud opener. Includes pocket clip for tip-up carry. 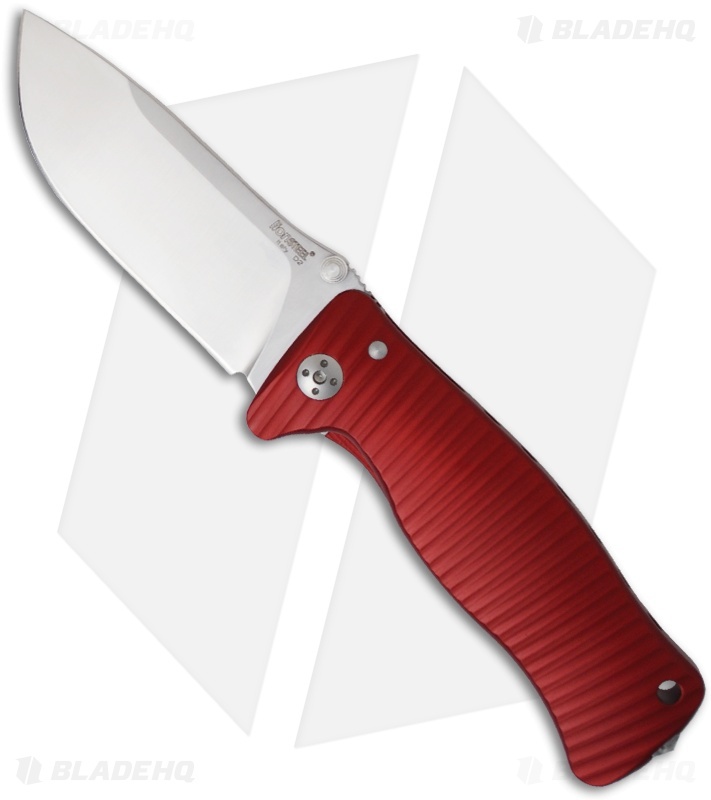 Please view our other LionSteel SR1 knives in stock!